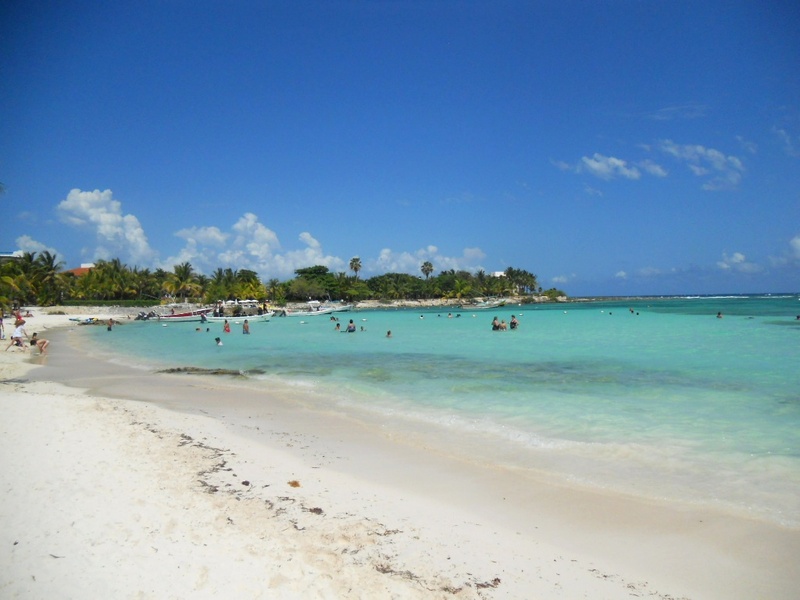 Akumal is located 30 minutes south of Playa del Carmen and is known for its bay, where you can see sea turtles all year long. When you wear fins, mask, and snorkel, you can swim only a few meters from the shore where the turtles come to eat the algae that they love! Up until July 7th, 2016 access was free, all you had to do was to respect animal life and if you wanted to buy your Akumal costs from a tour agency, you would have had to pay 150 pesos for local guides to take you to snorkel. For some time now, and since the construction of the hotel Dreams Akumal Bay, landowners are trying to privatize the bay and not let anyone access the turtles. This means that since July 8, 2016, the cooperatives will be able to get 12 people a DAY. Whether you do or do not choose to go via a tour agency, you will not necessarily be able to go with a cooperative to swim with the turtles! Obviously the price, we’ll say,… slightly increased-”just” 50 dollars for 45 minutes of snorkeling! The good thing in this story is that “normally” there will be much less crowds where the turtles are, which is a good for the animals, and snorkeling will be supervised by a guide which will help to enforce safety rules. Price to access the turtle area is: 50 dollars per a person. The price does not include transport from hotel. The municipality of Tulum has finally decided to allow access as it was: open to the public. It is preferable to use a mask and snorkel vest, but for now you will not be asked for money for snorkeling, except if you go through an agency, and they still have more control!